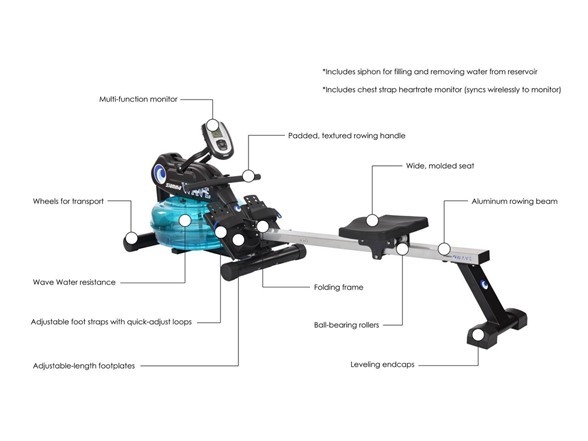 Unlike the 1445, the Elite Wave Water Rowing Machine includes an upgraded, high-end fitness monitor and a chest strap heart rate sensor. Programed to sync seamlessly with the multi-function monitor, the data the sensor provides allows you to tailor your workout. For example, you can target a certain heart rate for weight loss or to increase endurance by adjusting your rowing speed and therefore, your rowing intensity. 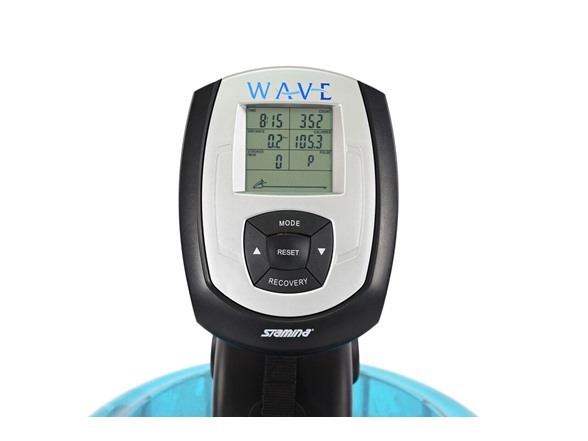 In addition to pulse, the multi-function monitor also tracks distance, time, calories burned, stroke count and strokes per minute to further motivate you during your rowing session. 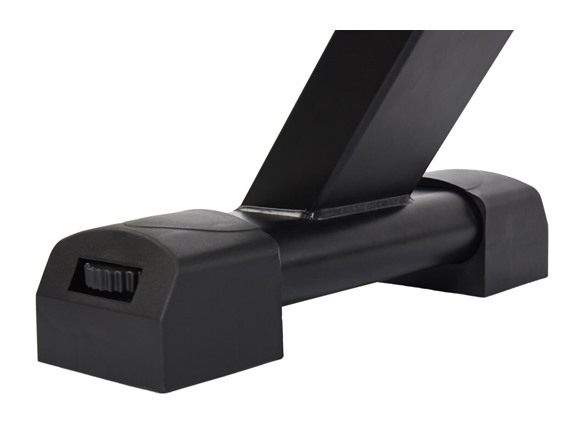 For further customization, users can also add or remove water using the included siphon to either increase or decrease the resistance. 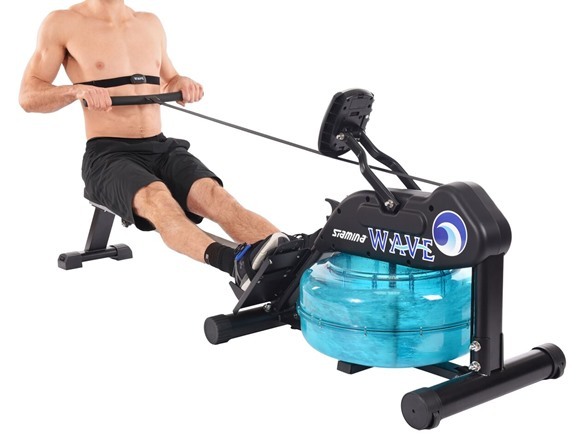 In addition to its natural, fluid resistance, the Elite Wave Water Rowing Machine features many performance upgrades that push you to row harder, faster and longer. 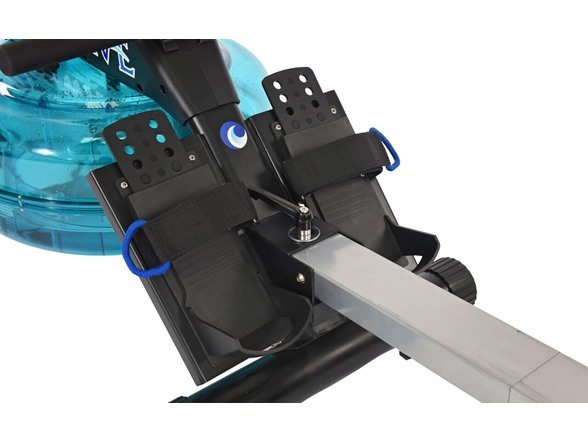 When mounting the rower, you will immediately notice the ease and customization of the footplates and straps. The footplates, which accommodate a wide range of foot sizes with their adjustable length, feature a heel strap that secures the feet while also allowing the heel to rise higher for a wider range of motion. There are also quick-adjust straps with finger loops so you can quickly secure your feet - even in the middle of the workout. 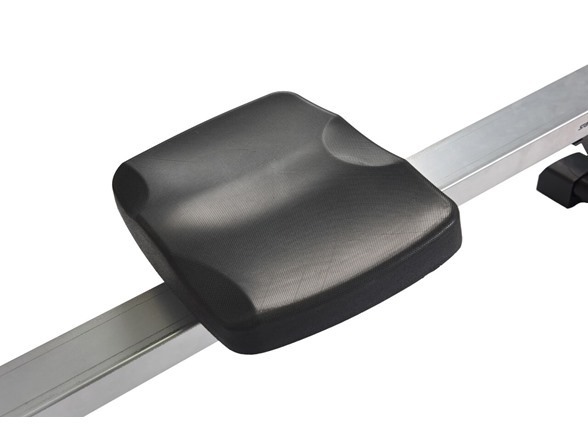 Once you push, extend and bend, the seat glides atop the aluminum rowing beam, providing a smoother workout. 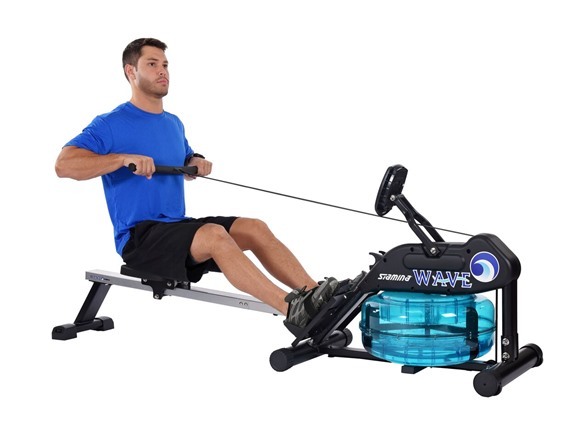 Performance is meaningless if you can't or don't want to use the equipment, and that's why the Wave Water rower was built for comfort and convenience. 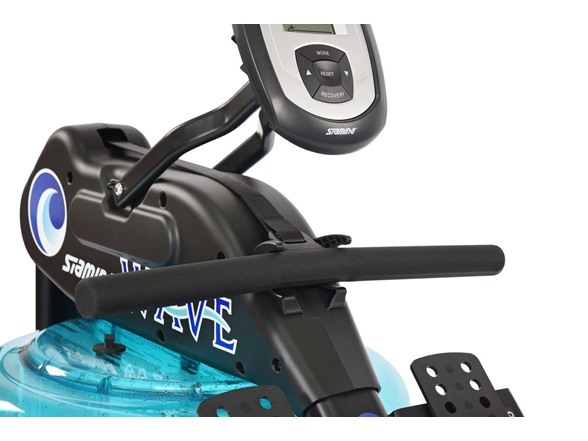 With a wide, molded seat to accommodate users of all sizes and a padded, textured rowing handle, you can build your strength and endurance in ease. 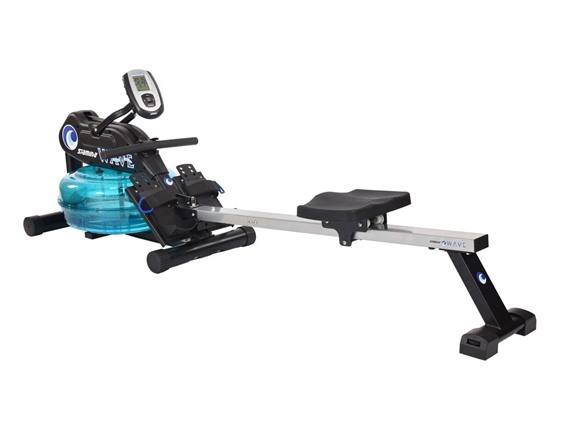 When setting up the rower, the leveling endcaps with a dial ensure stability. 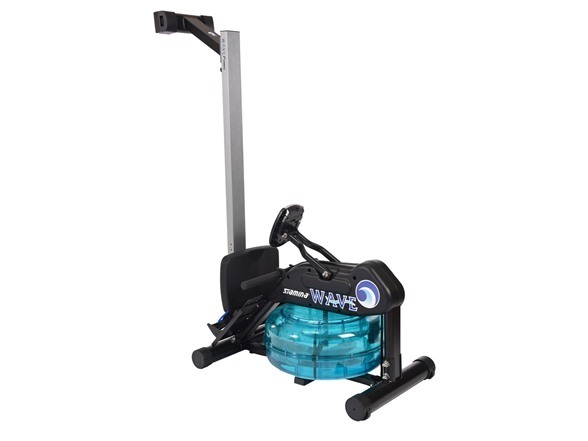 After your workout, storing your Wave Water rower is easy - just fold the frame and roll the rower into a closet or corner.